Here at KQED, like a lot of news outfits, we tend to cover bills before they pass, during the often fiery debates over whether they deserve the Governor’s signature. On Sunday, those debates (at least some of them) came to an end with the winding down of the legislative season. Hunters will be banned from using lead bullets. 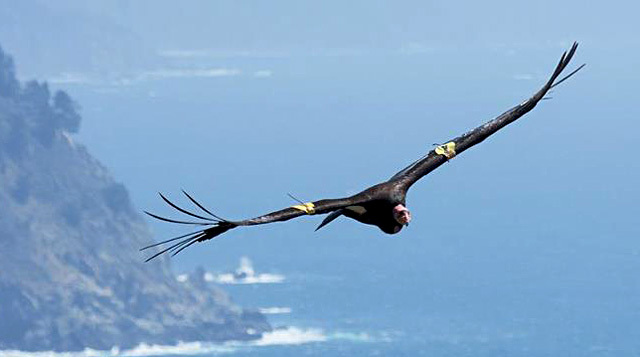 This law, the first of its kind in the country, was inspired largely by efforts to protect the endangered California condor. Scientists say condors suffer from lead poisoning when they eat carcasses left behind by hunters. Renters will be able to choose to buy more renewable energy. The bill makes it possible for customers of PG&E and the other big investor-owned utilities in California to buy up to 100% of their electricity from renewable sources. So if you're a renter -- or maybe your roof is just too shady for solar panels -- you'll have more access to solar and wind power. Electricity rates will be overhauled. The law requires utilities to continue buying electricity generated by rooftop solar panels on people's homes, an incentive known as net metering. It also allows a fixed charge on some people's bills to help maintain the grid, creates a new formula which is intended to lower rates for people in hotter parts of the state and allows regulators to require that utilities generate more power from renewable sources. 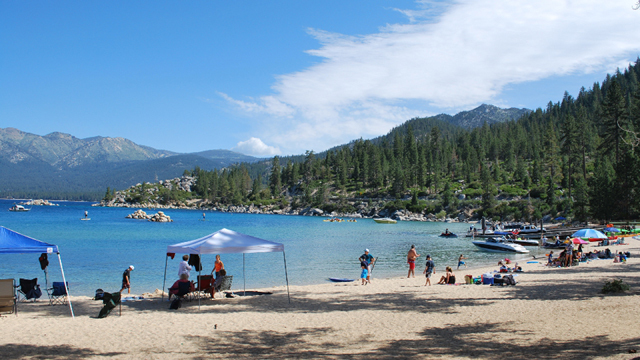 California and Nevada bury the hatchet over Tahoe. The bi-state Tahoe Regional Planning Agency was created by Congress in 1969 to end the rampant development that reduced the lake’s fabled clarity. Nevada threatened to leave the agency, but now both Brown and Nevada Governor Brian Sandoval have signed on to continue working together. Pregnant women will be warned about toxic chemicals. Medical providers already give pregnant women a pamphlet on prenatal testing. Now they'll also provide information about the dangers of chemical exposures. Fire safety officials will weigh whether to use flame retardants in buildings. Previous laws required the use of chemical flame retardants in buildings but studies have shown that the chemicals themselves could be dangerous. This new law doesn't ban their use, but it does ask regulators to consider their options. 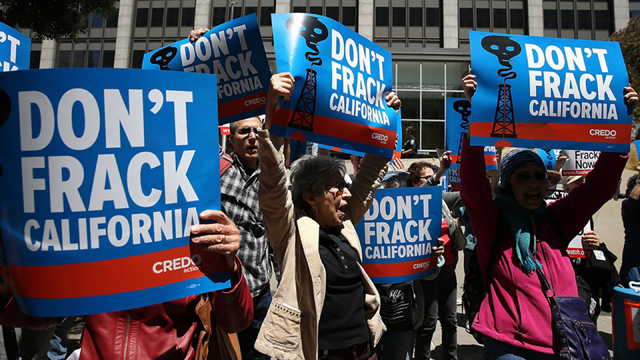 A bill that regulates fracking in California passed, but environmentalists aren't happy about it -- they say it's a "half measure." The law requires drillers to report what chemicals they're using and how much water they withdraw, but it does not introduce a moratorium on fracking, which some environmental groups wanted to see until more research is done on the impacts. The California Coastal Commission will not be given the ability to issue fines. A bill would have allowed the Coastal Commission to issue fines for building illegal structures, blocking beach access or damaging habitat (as it is now, the Commission can't fine people for violating the law), but it didn't make it past the State Assembly. A probe into whether California refineries are manipulating gas production and prices won't happen. Gas prices in California are some of the highest in the country. That's due at least in part to California's strict air quality laws. This bill would have assigned the California Energy Commission the task of tracking oil prices to find out if there is any price manipulation happening. 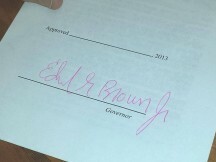 Brown vetoed the bill. Plastic bags won't be banned statewide. California cities from Ukiah to West Hollywood have banned plastic bags, but an effort to introduce a statewide ban died in the State Senate. Prop. 65 will be slightly revised. The source of all those warning signs in businesses, Prop. 65 was passed by voters to reduce exposure to toxic chemicals, and it's lead to a host of lawsuits -- but some say many of them are frivolous. The new law allows small businesses that are in violation of Prop. 65 to avoid an expensive lawsuit by putting up a sign and paying a fine.